The Song of Ice and Fire created by George R.R. Martin, produced a greater interest in medievalism by enacting historical memory of events and people within the storyworld. Yet the references to actual history can be found in other elements of the Song of Ice and Fire, and not just within the characters or events of the story. The use of magic within the world of Westeros was largely based upon the medieval belief and practices of the Middle Ages. Westeros contains many different religion who all thought they worship the true god(s). The religion of the Lord of Light, tends to be the antagonist due to the encroaching nature towards the other religions. Melisandre on many occasions, proclaims there are only two gods; the Lord of Light called R’hllor and the other whose name must not be spoken.1 The God R’hllor is an entity of light, and represents all that is good and life-giving, where the other god is darkness and represents all that is evil. Also, the religion of the Lord of Light by the end of the fifth book, Dance with Dragons, tended to contain the most active magical elements of sorcery, including resurrection, protection from dead or harm, and casting spells upon people. The religion was based upon prophesy by interpreting the will of the Lord if Light. His will could be found by looking to the flames of a fire and interpreting the images there within.2 However, the elements of magic contained within the religion of R’hllor are old medieval ideas made anew. Martin enacts the historical memory of magic in his storyworld, by drawing upon the faith and education of a sorcerer and the purpose and power to which a demon could enact upon the target. George R.R. Martin utilized the Medieval stories of magic as a platform for his storyworld to expand and develop into a new tangent of magic. In order to perform magic, a priest of R’hllor did not need an extensive education or belief in the power of the Lord of Light. The other priest of R’hllor in the Song of Ice and Fire, was Thoros of Myr. After Lord Beric Dondarrion was mortally wounded, Thoros gave Lord Beric the kiss of R’hllor as a simple courtesy; it is was what the older priests would have done.3 Thoros originally believed it was a simple show for the common people, but this time he wanted to help his friend. Thoros did not believe in magic or the Lord of Light, since he was only imitating the other priests. Unexpectedly, Lord Beric came back to life as Thoros prayed to the Lord of Light. The Lord of Light allowed an unbelieving and terrible servant, to bring a person back to life. Thoros hoped that his prayer would actually work, and for the first time his faith had been answered. In the Middle Ages, the Bible told an account of a woman who touched the robe of the Jesus, and was immediately cured of an illness.4 The woman did not believe in the power of God or have knowledge of the magic being performed. It was a simple belief that she could possibly be cured. If she was not cured by touching the robes of Jesus, the woman would have been in the same position as she was before and would have lost or gained nothing. Thoros was able to bring someone back from the dead, and the woman was cured of an ailment. Both are accounts of great magic being performed with only the belief in something might happen. The story of the woman was a prominent story in the Medieval Bible, which had a symbolic similarity to story of Thoros within the storyworld of the Song of Ice and Fire. The prophetic use of the fire to gain knowledge from R’hllor, has a historical background derived from the Middle Ages. Fire was one of the original fundamental elements that scientists thought made up the universe, and was thought to contain a special power.5 Many people in the Middle ages believed in divination to tell the future, and fire was thought to be an essential element. Through fire or one of the other elements, a person from the Middle Ages believed they could foresee the future. 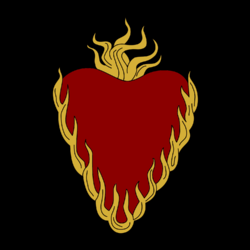 The religion of R’hllor uses flames to foretell either current events or the future to discover the will of the Lord of Light. Cicero believed that God would communicate his will, by giving a person dreams that were ambiguous and confusing.6 However, every person had the potential to have dreams even if they did not know what they meant. The dreams were also sent during the night (assumedly,) since that was when most people were asleep. Cicero did not believe that the dreams were from God because they were so ambiguous and confusing. God would have the ability to send a message that a person could understand easily, and not just during the night-time. In the fifteenth century, a man named Hans Lobenzweig wrote a series of dream books, so that people could try to interpretation their dream.7 Dream interpretation was a very common practice for the people if the Middle Ages. The idea that books were written to interpret the dreams makes an assumption of just how wide-spread divination had become. The books were accessible to every person who wanted one and for those who were illiterate, there would have been other ways to divulge the information. 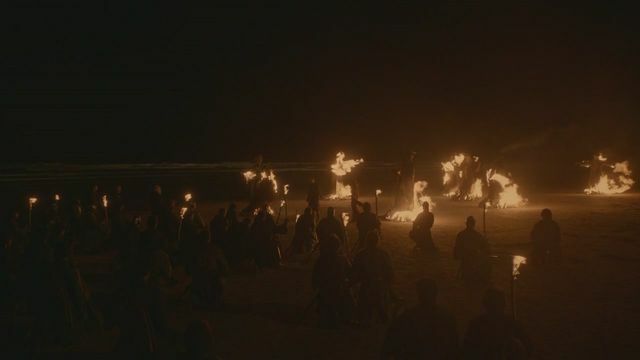 Melisandre who had a far greater knowledge of R’hllor than Thoros, could still experience difficulty while reading the flames.8 People who were not priests of R’hllor tended to claim they can read the flames, but in reality they did not possess the ability. 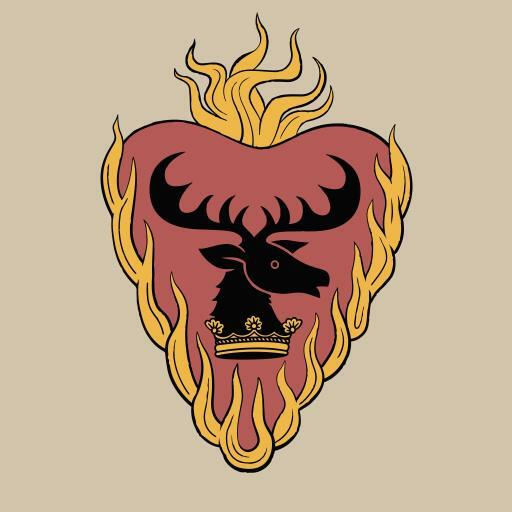 Ser Axell who was the brother-in-law to King Stannis Baratheon, believed he was the next Hand of the King for he saw it in the flames, but instead Ser Davos was chosen as the new Hand.9 In the Song of Ice and Fire not everyone can read the flames correctly for he saw what he wanted to find in the flames. Only those chosen by the Lord of Light possess the ability since they had been trained, but even the interpreter could be wrong. In the Middle Ages, the people looked for signs in nature and in their dreams. Many needed help to interpret the signs, and there were many books to help the people interpret the signs. Yet not everyone will interpret the signs the same way as Ser Axell discovered. The storyworld of George R. R. Martin simplifies the ability to read the flames to only a select few. All others seem to claim they can read the flames but in reality they cannot move past their own desires. George R.R. Martin utilizes shadow creatures in a new way that was not accepted by the people of the Middle Ages. In the Song of Ice and Fire, demons are associated with the shadow creatures of the Lord of Light. These shadow creatures that are servants of R’hllor, since it is light that has the potential to cast a shadow.10 Darkness tries to consume the world of light and only brings misery, where the light has always brought joy and warmth. The element of fire would be considered the ultimate source of light, due to creating the heat that all life needs to survive. The brightest fire can cast the longest and darkest shadows, where the darkness can only consume the light. However, the people of the Middle Ages viewed the shadow creatures as demons and the spawn of evil, because they inflict harm.11 When people get hurt, there is a natural correlation to flee from the source of the pain. The angels were beings of light who dispelled the darkness and protected humanity. 12 Demons were often the source of the pain and were considered to be spirits themselves. Magic represented a challenge to the beliefs of Christianity because God represents all that is good.13 The power of God was supposed to be the ultimate power. The belief in magic provided another form of power that was not acceptable to Christianity. The belief in demons, angels and shadow creatures all depended on the point of view of the person viewing the spirit. Melisandre sees the shadow creatures as beings of light. Where the people of the Middle Ages and those such as Ser Davos, would see the shadow creatures as demonic.14 The shadow creatures in the view of the followers of R’hllor, were the angels of the Christian God for they protect the true believers. Another fundamental change in the use of demons in the Song of Ice and Fire from the medieval world, was the purpose that the demon fulfilled. The shadow creatures that Melisandre brought into being, are meant to be warrior-assassins.15 They can kill an enemy without being harmed themselves, then disappear just as fast as they approached. The shadow that killed King Renly left confusion and panic in the camp, since the King died unexpectedly and with no logical explanation.16 However, this shadow creature acted upon the wishes of Melisandre and King Stannis. The shadow creature did not kill anyone else when it came into the pavilion of King Renly.17 Creating a sense that Melisandre could control the shadow creature. The demons of the Middle Ages were not summoned by a person to kill an enemy. The manuscript of Reims of the twelfth century, contains a passage that depicts a demon as an entity, who would inflict discomfort for as long as the conjurer wished. 18 The demon for example, would cause a person to vomit after they ate, or make them restless so the person could not sleep. Using a demon to cause fatality was not socially acceptable to the people of the Middle Ages, although causing death was a possibility. The use of a non-fatal demons was to enacted a punishment that the conjuror felt was necessary. The bearer of the punishment would hopefully learn their lesson so that the demon could be eradicated. The use of demons and shadow creatures were fundamental the same in the Song of Ice and Fire and the Middle Ages, due to the idea that both could inflict harm upon a living being. The major difference however, was that the shadow creatures of R’hllor were summoned to kill an enemy, where the demons of the Middle Ages were to punish an individual. The use of magic within the storyworld of George R.R. Martin contain the fundamental beliefs of the Middle Ages. Most of the people of the Middle Ages were not literate and relied upon story telling or others for information. Different forms of magic could be enacted by the illiterate, but these would be simple magic. Thoros of Myr and the woman who touched the garment of Jesus, had faith that the power of a being might work, yet they did not understand the why or the how, just that there was a possibility. The people of the medieval age were also consumed by divination to foretell the future. Many historians and theologians like Cicero and Saint Augustine had written about divination and magic. Which emphasises that magic was a considerable belief of the medieval people. Also, that there was a question that the church could not answer easily. Otherwise magic would have faded in the world. The people looked for signs in nature to interpret the world around them. Natural magic was acceptable for it was linked with God, who represented everything good and life-giving. Where demonic magic, was thought to be against nature and therefore against God. 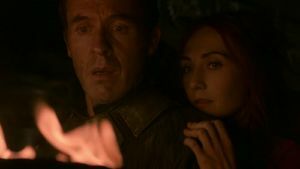 In the Song of Ice and Fire, magic within the religion R’hllor, takes on both properties of demonic and natural magics. They utilise the natural force of fire, a source light and life and theorise that a demon is the manifestation of light; for only a being of light can cast a shadow. Darkness was the true enemy in the Middle Ages and for the religion of R’hllor. Demons or shadow creatures also represented a means to an end. However the Middle Ages used demons in an education sense that depended upon the conjuror. The shadow creatures of R’hllor were used to kill and remove an obstacle in the path of the conjuror, and yet using a demon to end a conflict was frowned upon by many people. Davos was the only person who knew what Melisandre conducted, and considered her Lord of Light as a dangerous and cowards. The magic of R’hllor can be directly taken out of the history of the Medieval Age just like the inspiration for of the many events and characters. Yet the belief in magic contained within the storyworld of George R.R. Martin, has the ability to give insight into how the people of Westeros perceive different forms of magic. 1 George R.R. Martin, a Storm of Swords (New York: Bantam Books, 2000), 288. 2 George R.R. Martin, a Clash of Kings (New York: Bantam Books, 1999), 113. 3 George R.R. Martin, a Storm of Swords (New York: Bantam Books, 2000), 444. 4 Richard, Kieckhefer, Magic in the Middle Ages, 2nd ed. (Cambridge: Cambridge University Press, 1989), 44. 5 Richard, Kieckhefer, Magic in the Middle Ages, 2nd ed. (Cambridge: Cambridge University Press, 1989), 57. 6 Richard, Kieckhefer, Magic in the Middle Ages, 2nd ed. (Cambridge: Cambridge University Press, 1989), 51. 7 Richard, Kieckhefer, Magic in the Middle Ages, 2nd ed. (Cambridge: Cambridge University Press, 1989), 101. 8 George R.R. Martin, a Dance with Dragons (New York: Bantam Books, 2011), 408. 9 George R.R. Martin, a Storm of Swords (New York: Bantam Books, 2000), 404. 10 George R.R. Martin, a Clash of Kings (New York: Bantam Books, 1999), 467. 11 Richard, Kieckhefer, Magic in the Middle Ages, 2nd ed. (Cambridge: Cambridge University Press, 1989), 189. 12 Richard, Kieckhefer, Magic in the Middle Ages, 2nd ed. (Cambridge: Cambridge University Press, 1989), 93. 13 Richard, Kieckhefer, Magic in the Middle Ages, 2nd ed. (Cambridge: Cambridge University Press, 1989), 52. 14 George R.R. Martin, a Clash of Kings (New York: Bantam Books, 1999), 466-7. 15 George R.R. Martin, a Clash of Kings (New York: Bantam Books, 1999), 377. 16 George R.R. Martin, a Clash of Kings (New York: Bantam Books, 1999), 457. 17 George R.R. Martin, a Clash of Kings (New York: Bantam Books, 1999), 377. 18 Richard, Kieckhefer, Magic in the Middle Ages, 2nd ed. (Cambridge: Cambridge University Press, 1989), 189. Kieckhefer, Richard. Magic in the Middle Ages. 2nd ed. Cambridge: Cambridge University Press, 1989. Martin, George R.R. A Clash of Kings. New York: Bantam Books, 1999. Martin, George R.R. A Dance with Dragons. New York: Bantam Books, 2011. Martin, George R.R. A Feast for Crows. New York: Bantam Books, 2005. Martin, George R.R. A Game of Thrones. New York: Bantam Books, 1996. Martin, George R.R. A Strom of Swords. New York: Bantam Books, 2000.